We are pleased to announce that additional calendars are now on sale at the GSPCA after the great response. One of the BIGGEST cases in our long history happened this year when 25 puppies which were from Slovakia were stopped at the harbour in very concerning conditions and were headed for the UK. 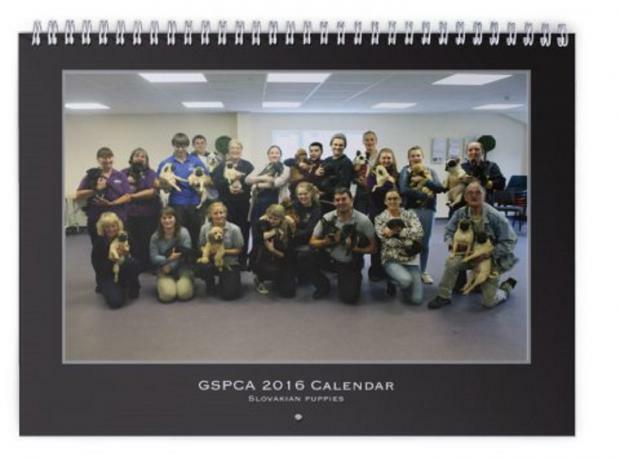 Shortly after we found out that all pups were to stay in Guernsey and be rehomed locally, photographer Liz Kerr came in to take a few pictures and has kindly put together a calendar for 2016 to raise funds for the GSPCA to help the hundreds of animals currently in our care. 2016 calendars starring the Slovakian puppies cost just £15 each. We would like to thank everyone that has supported our 2014 calendars so far, it really is appreciated. As we are now very close to February we are selling the few calendars we have left for only £2 each. Currently we have 3 styles of calendar all of which have been kindly given to the Shelter to help raise funds for animals in Guernsey. We have the Guernsey Electricity calendar which is full of wonderful pictures from around our beautiful island.